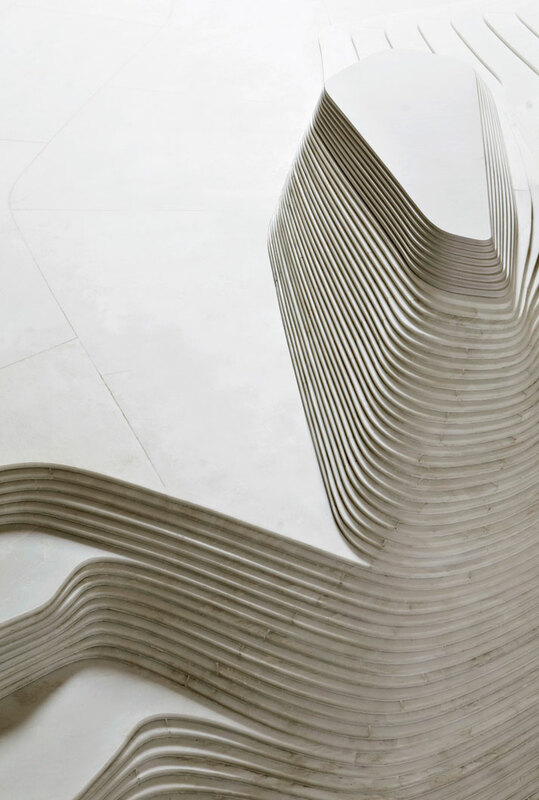 The scenario inspired by the topology of the place, just like a ‘box’ sunk into the sand. 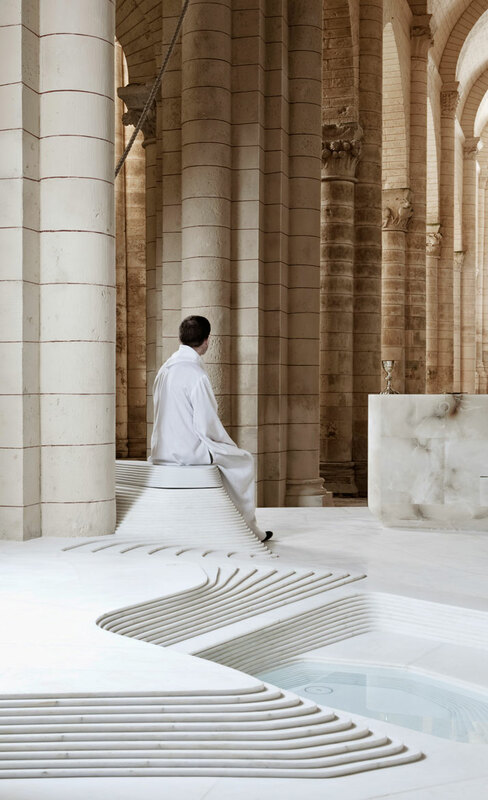 Mathieu Lehanneur’s paradoxical church conversion is an architectural gesture, equally paradoxical and strangely distinguishable which will undoubtedly mark an important milestone in the development of religious works. 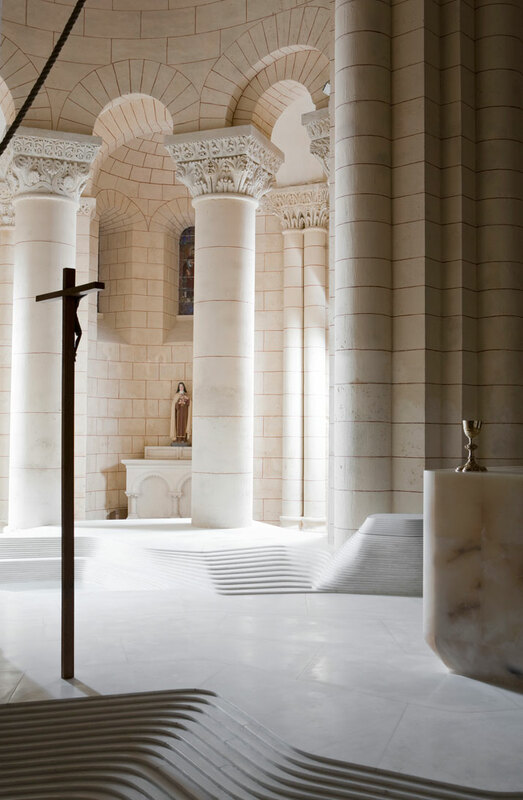 Religious architectural works are always within an austere context, not allowing the designer/architect to explore possibilities mainly because of what religion defines. 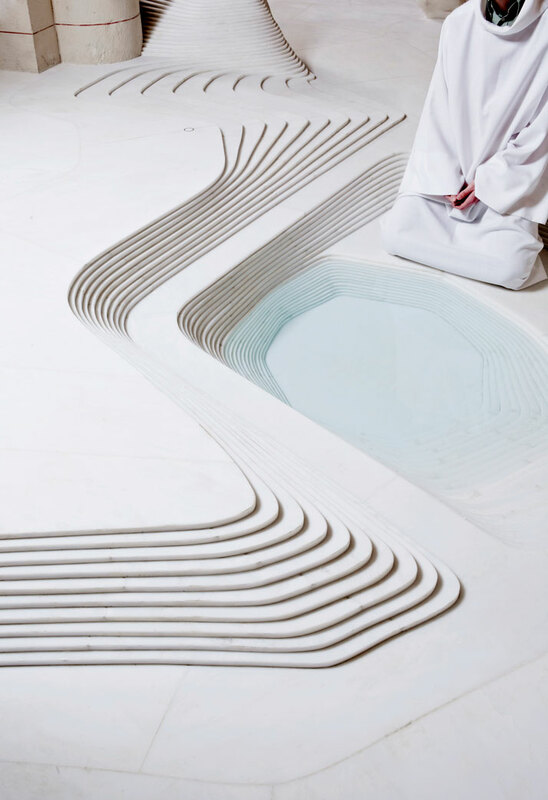 In the later years, some development and modernization is allowed within the strict religious milieu. 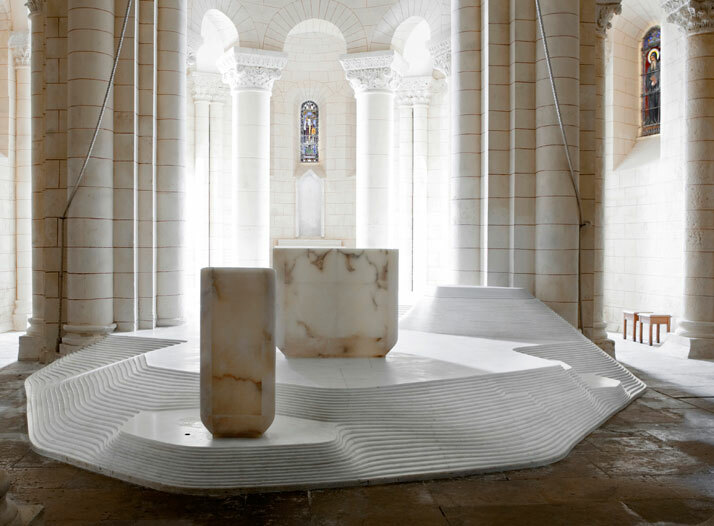 Lehanneur’s work explores an organic addition to the already existing Romanesque church building of St. Hilaire in Melle in the Deux-Sèvres district of France. 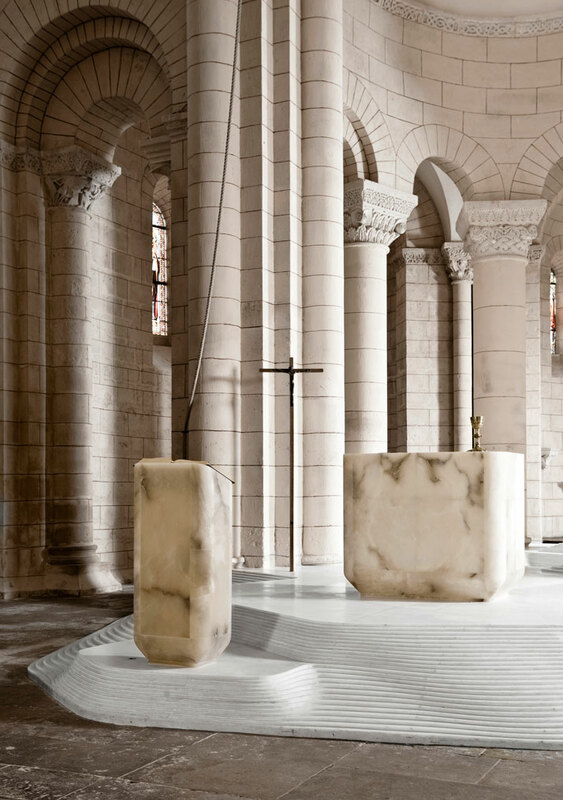 Mathieu Lehanneur has enhanced and created a superior atmosphere in the Romanesque church building with an extremely mineral look. 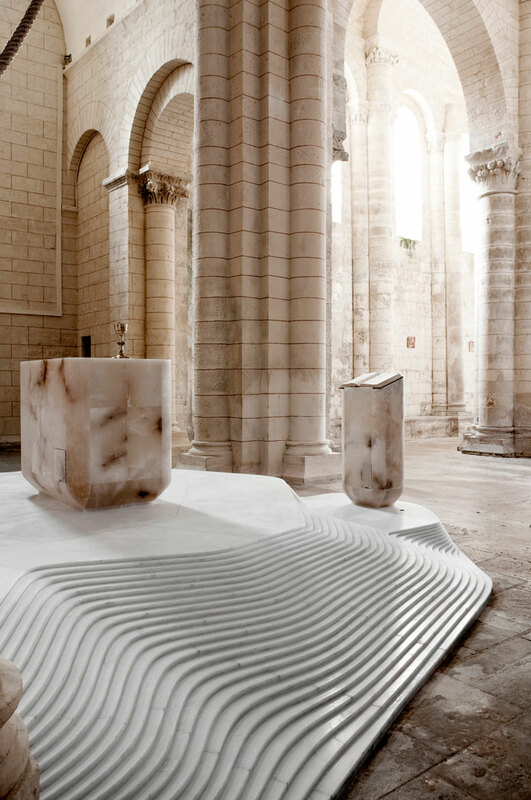 The designer imagines a flow of white marble that used to exist prior to construction of the church. 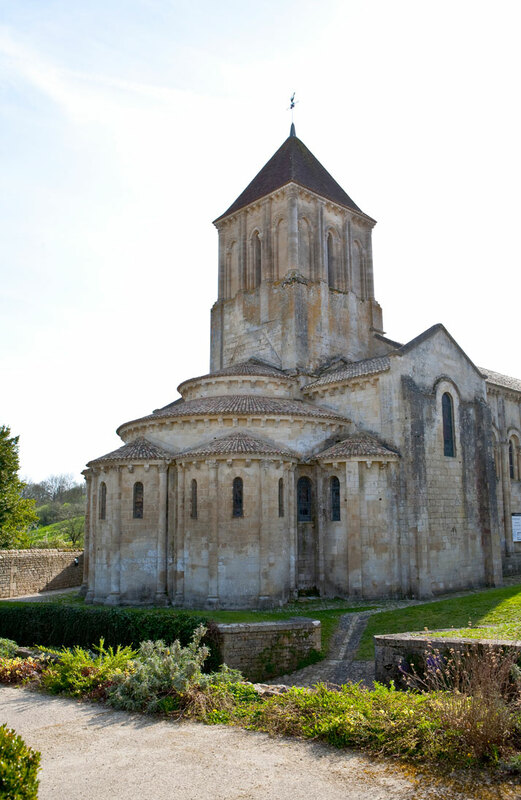 This mineral existence ‘justifies’ that the church was built there with the existing organic flowing form. 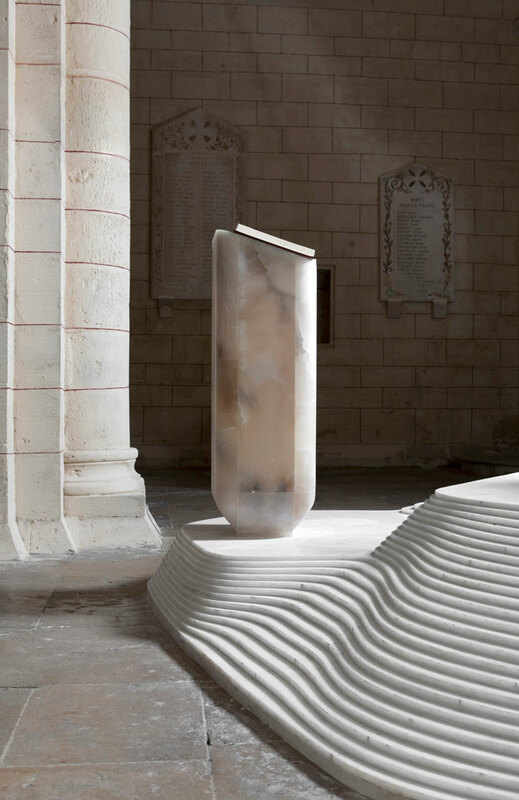 The mineral selection mirrors the extreme care paid to the telluric energy of stones and areas/territories in the building of Romanesque churches; according to Lehanneur, this holy place of worship would have been built on this specific area for the discernable energy that emanates from it. 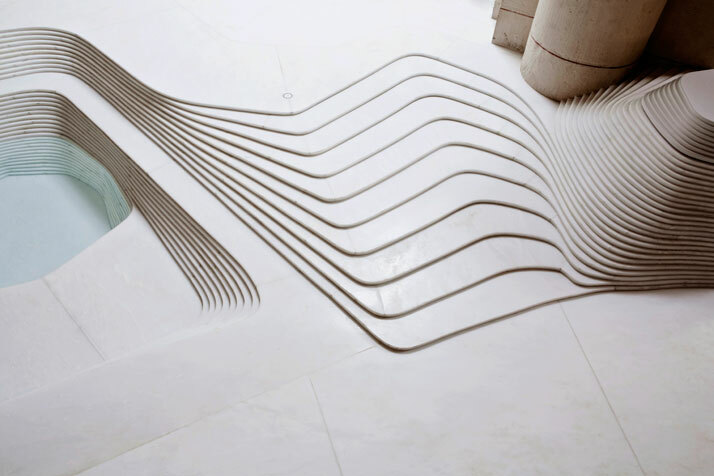 The architectural addition will without doubt leave a significant mark in the development of religious works. 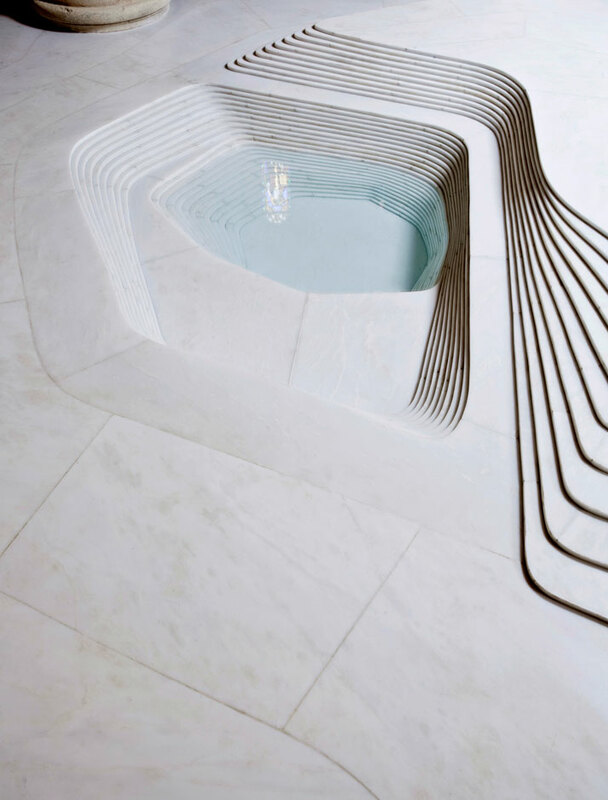 The stacked layers of white marble create a consistent and uniform mineral block formed from consecutive strata which seem to recall the sedimentary formation of the basement. 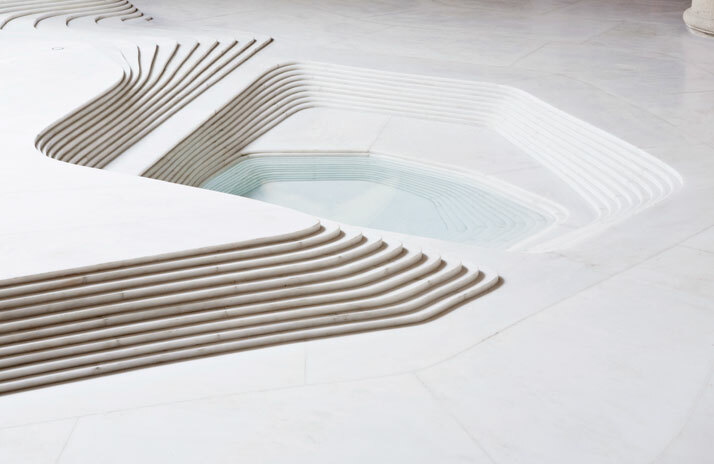 This organic form can be seen in the eyes of the church follower as a kind of divinity being present; something holy which is so perfect and above his/her expectations. 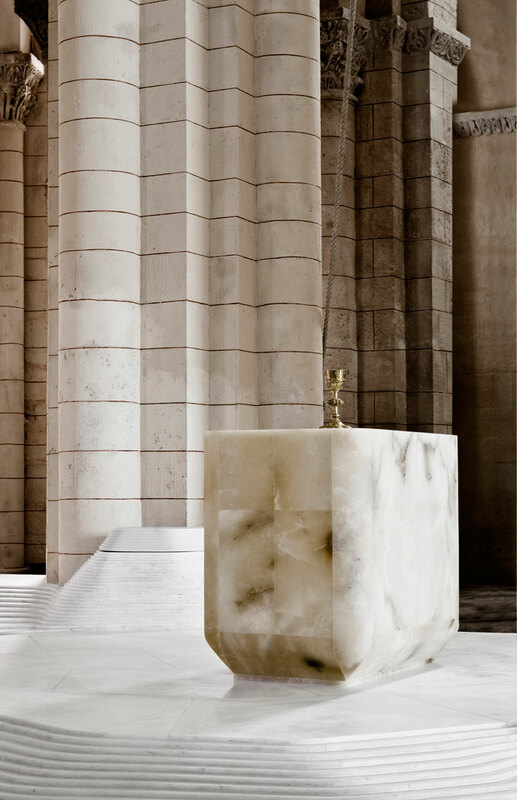 Furthermore, the ceremonial furniture - altar and ambo - are made from colored alabaster, close to the color of the original stone of the church. 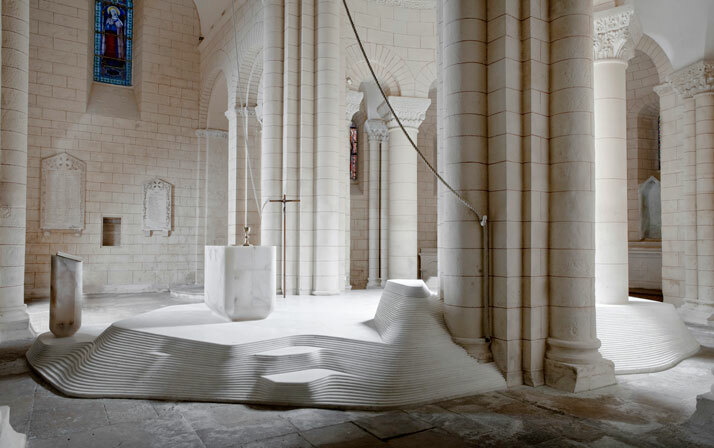 This results in a visual impact, one of Lehanneur’s trade secrets, as he uses the purity and the ‘cleanliness’ of the geological chaos to emphasize the faultlessness of the Romanesque geometry. 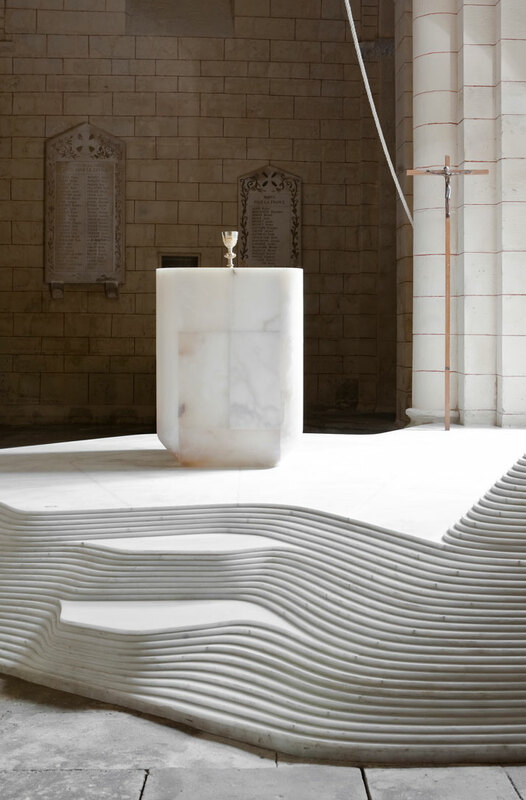 The collusion of the church and the mineral mass is topped off with a baptistery that snuggles in the landscape giving the impression of an already existing feature. 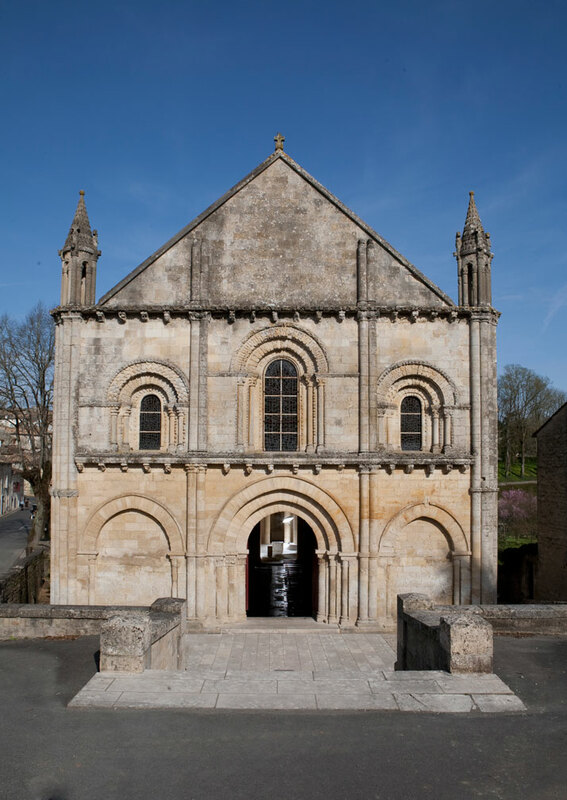 The water that it holds appears to be from the river which runs below the church: the ultimate linking of the building with its environment. 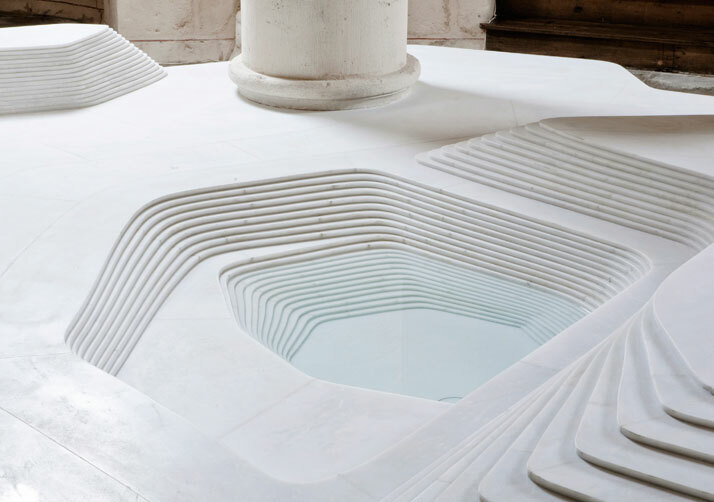 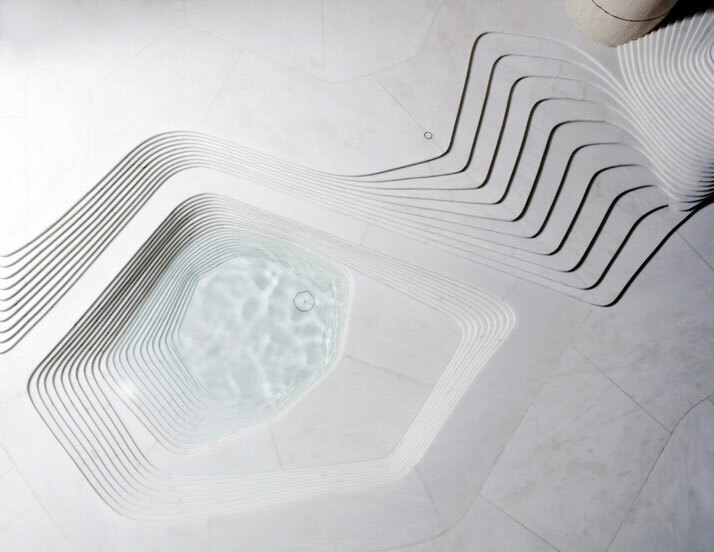 The concept was encouraged from the topology of the baptistery within the Romanesque church building. 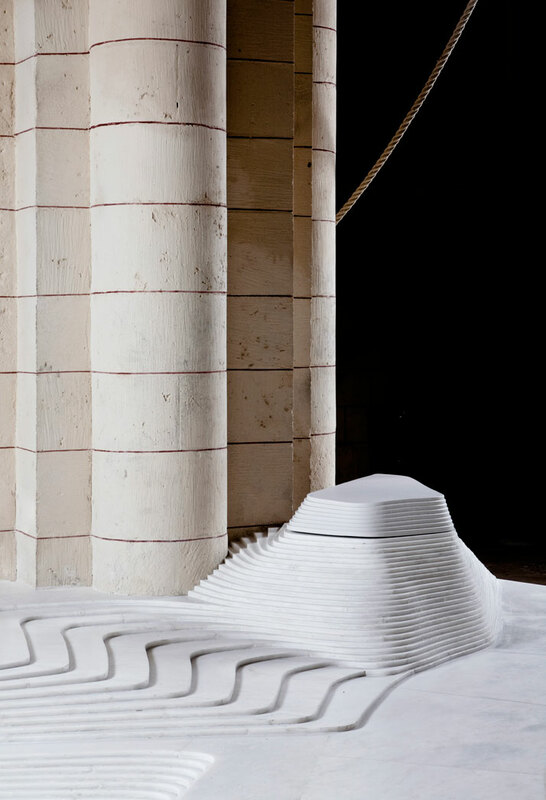 The baptistery seems as if it was sunk like a ‘box’ in the sand; according to Lehanneur, "I imagine that when this ‘box’ was sunk into the ground as if pushed by an invisible, maybe divine hand, it revealed the geology of it, the visible aspect of a mineral and massive form: a revelation which seems anterior, and not posterior, to the construction of the church." 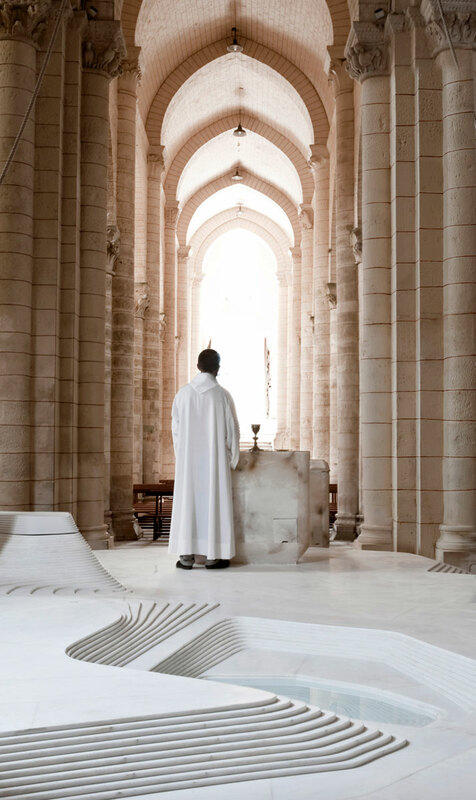 The play among anterior or posterior construction allows a relief to be formed which creates a natural hierarchy between the celebrant and the congregation.